Brilliant work from everyone today with everyone qualifying. 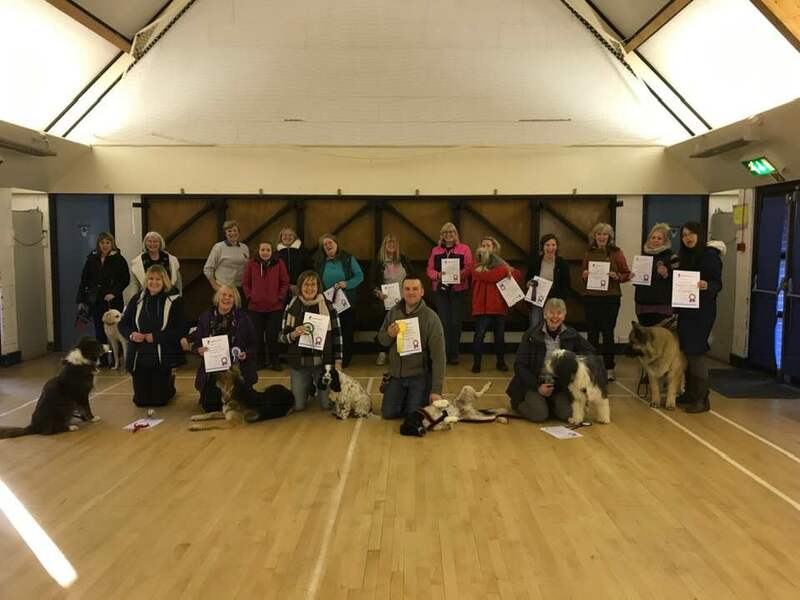 Great work from our winners Lyndsey with Cypher, Lesley with Barney a gallant 2nd, super work from James with Ludo at 3rd and Kathryn with Florence 4th. Super work also from our clean sweeps especially those dogs doing their first trial. Fantastic. Special commendation to our handlers of the more difficult reactive dogs who showed such sympathetic handling and allowed their personalities shine through. A great day all around and some super dogs to judge. Firstly I’d like to start by saying thank you to Carol and Sarah for inviting me to judge, James for being a super scribe and Stuart for the lovely lunch! We had really nice trial weather for January, and started the trial with the table, chairs and perimeter. I’d set this up with the perimeter find on the back wall and a lot of the dogs picked the scent up from the start but I think first search nerves stopped all but one team trusting their dog and getting that find early. There was some lovely searching and all teams found at least one of the finds. Onto the exterior, despite running a white dog the first 2 dogs alerting with such conviction on the same item that I decided to reset the search area and allow them a rerun at the end. The rest of this exercise ran smoothly with most finding both find. After lunch we moved onto the vehicle search, I set this up with one behind the first vehicle’s front number plate and the other on the front door of the end vehicle. This proved to be a fair test and it was lovely to watch the different ways people handled this section. Lasted we had the boxes and luggage search. Sally and Pippa were very impressive in this search finding both articles in 27 seconds. I think tiredness started to get the better of some teams as a few handlers caused false alerts by sending the dog back to the same item several times until the dog gave an alert in frustration. But overall some fantastic searching. Well done everyone you should be incredibly proud of yourselves and your dogs. 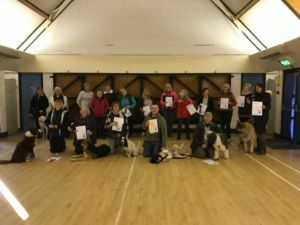 1st – Tracey and Olive – such an enthusiastic spaniel, Tracey does a fab job of channeling her energy. Well deserved winner. 2nd – Ruth and Luna – they came back from an early scare with the floor to claim second place. Luna is eager to please and Ruth handles her in a calm and kind manner. 3rd – Angela and Woody – a dynamic duo who are going from strength to strength. Lovely to watch Angela channel Woody’s spirited technique. 4th – Naomi and Buddy – fabulous Lab who knows and loves his job, very well handled by Naomi to keep him on task and not becoming over aroused. South Harting Community Hall, Pease Croft, Petersfield, GU31 5LB. Entry Fees: £21 per dog. Capped at 15 entries. Only one dog per handler.